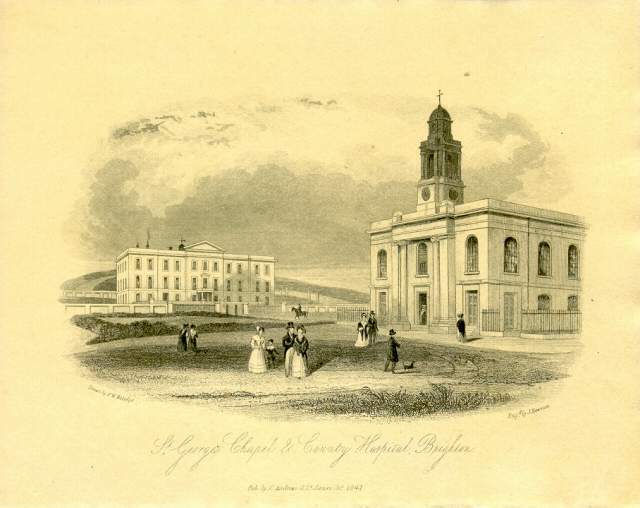 St. George's Chapel and County Hospital, 1841: Men, women and children walking in the grounds of St. George's Chapel. 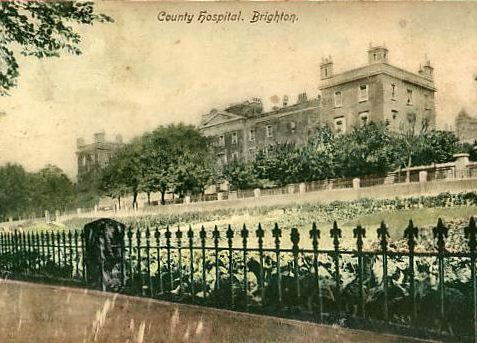 Behind them is the Sussex County Hospital and Sea-Bathing Infirmary, which opened on 11 June 1828 with four large and twenty-three small wards, catering for 80 patients. 162. 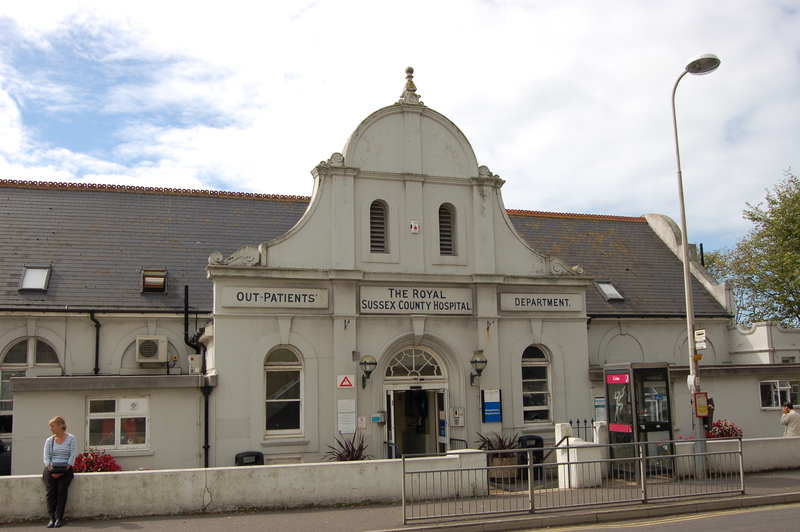 ROYAL SUSSEX COUNTY HOSPITAL, Eastern Roada) ESTABLISHMENT: In February 1813 a fund was started for the establishment of a hospital in the town, but nothing came of the idea until December 1824 when a meeting at the Old Ship resolved to construct a county hospital. The lord of the manor, T.R.Kemp , provided some land to the east of the town, and architect Charles Barry was commissioned to design the new building. 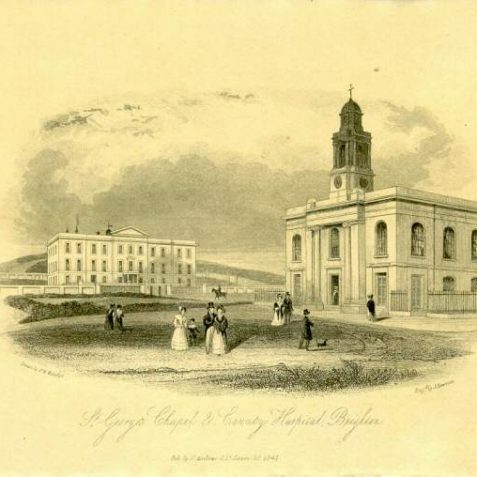 The foundation stone was laid by the Earl of Egremont on 16 March 1826, and the Sussex County Hospital and General Sea-Bathing Infirmary opened just over two years later on 11 June 1828 with four large and twenty-three small wards providing room for eighty patients. 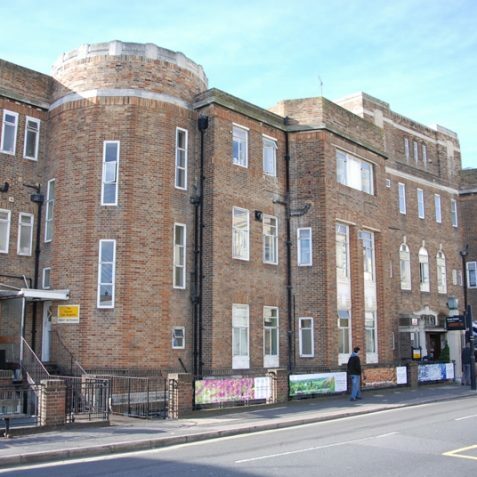 This original building, which is included on the borough council’s local list of buildings of special interest, may still be seen to have four storeys with a projecting central bay and pediment, and bears the name and date of the hospital. 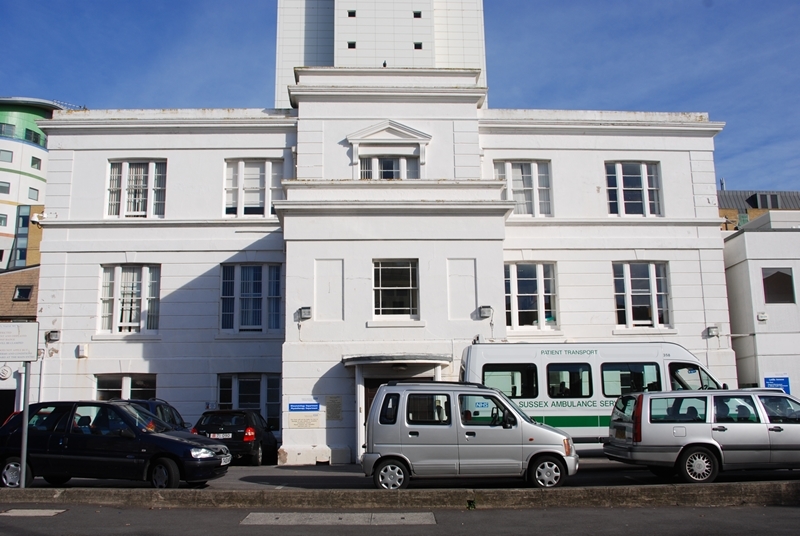 Its frontal extension was opened by Prince Arthur of Connaught in April 1929. 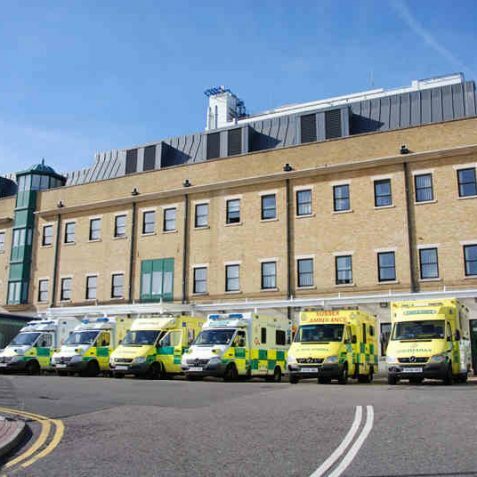 Patients to the hospital were recommended by subscribers who could become life-governors for twenty-five guineas. As sea-water treatment was then considered very important, water was pumped through a pipe from the beach, but this practice ceased in 1876. 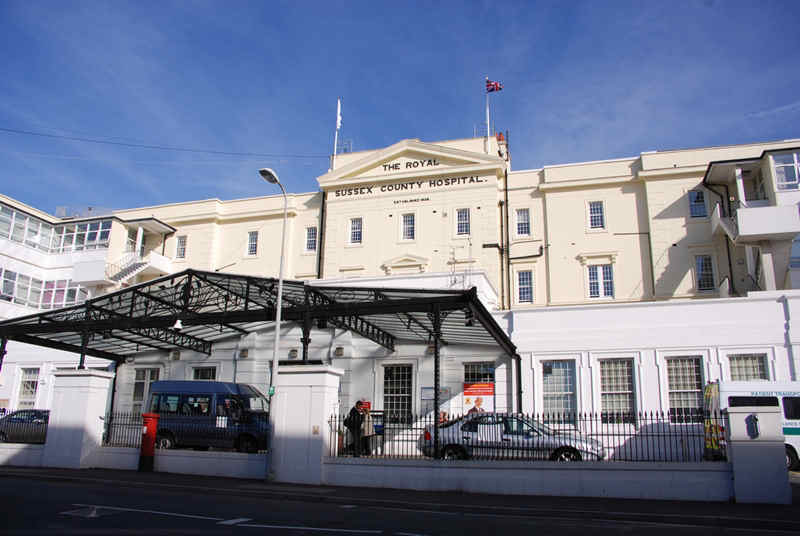 In about 1905 the hospital received the patronage of King Edward VII and became the ‘Royal’ Sussex County Hospital. 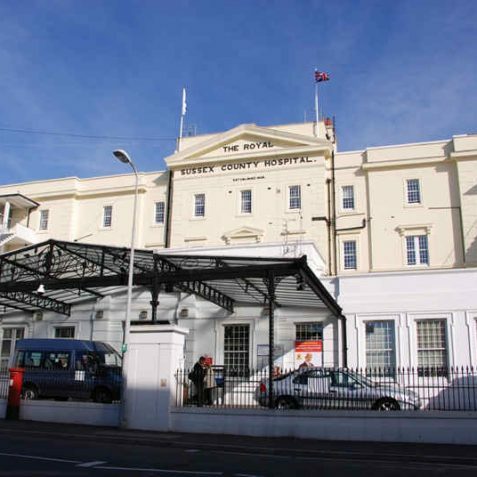 b) EXPANSION: The hospital has been almost continually enlarged ever since its foundation; a fever block soon opened a short distance away, the Victoria Wing was added on the western side in 1839 by William Hallett, and the Adelaide Wing was built to the east in 1841 by Herbert Williams. 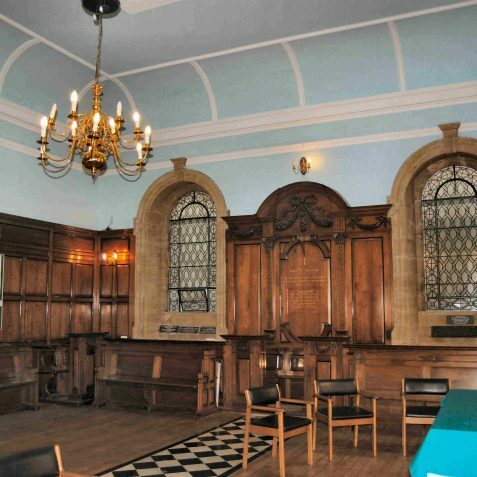 The projecting end wings were added in 1853, and a Renaissance-style chapel was added in about 1856 by William Hallett at the expense of the Marquess of Bristol; the chapel is now listed as being of special architectural interest. 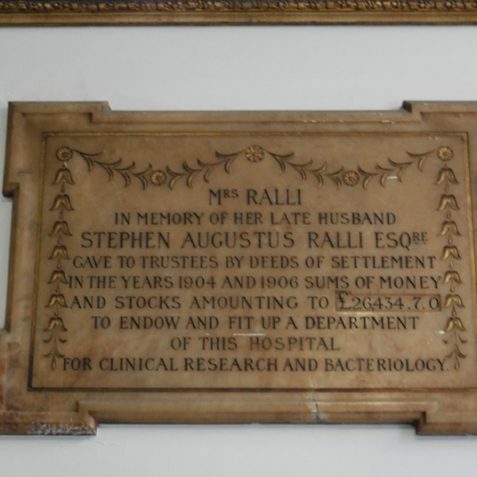 The separate Jubilee Building to the east opened in 1887 to mark Queen Victoria’s golden jubilee, and a pathological and bacteriological department opened in 1895 through the munificence of a Mrs Ralli. 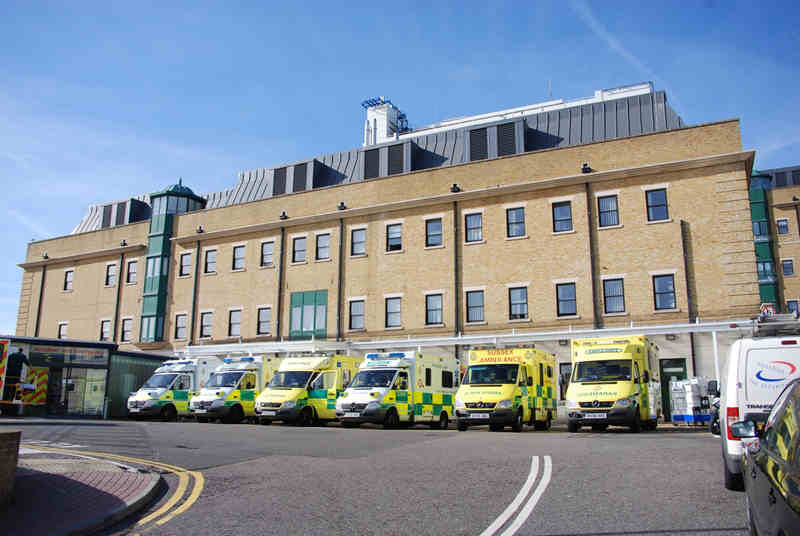 In 1901 new operating wards were added, and in 1923 the Howard Wards were opened through a fund provided by the trustees of Sir John Howard. Further additions were made in 1928, 1929, and in 1937 with the addition of the Latilla Department of Physical Medicine. 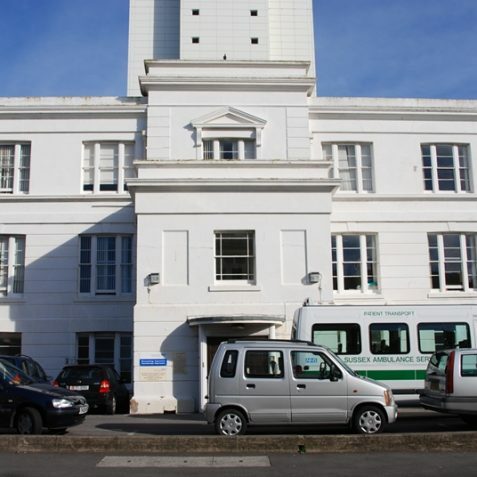 In July 1948 the hospital, then still funded by subscriptions, was taken over by the National Health Service. 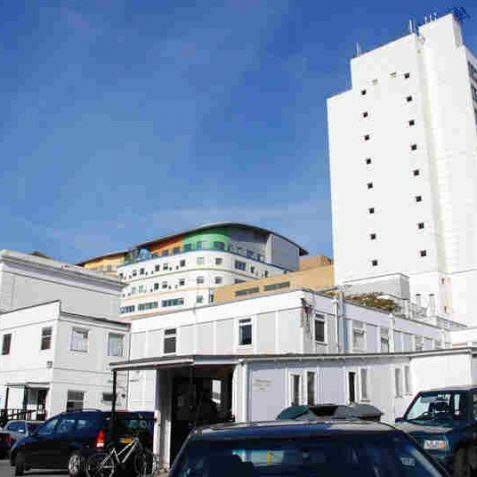 The 406-bed hospital is now dominated by the fourteen-storey Tower Block in Bristol Gate, opened in 1969-70 but never completed; it is to be renovated and improved in 1989-91. 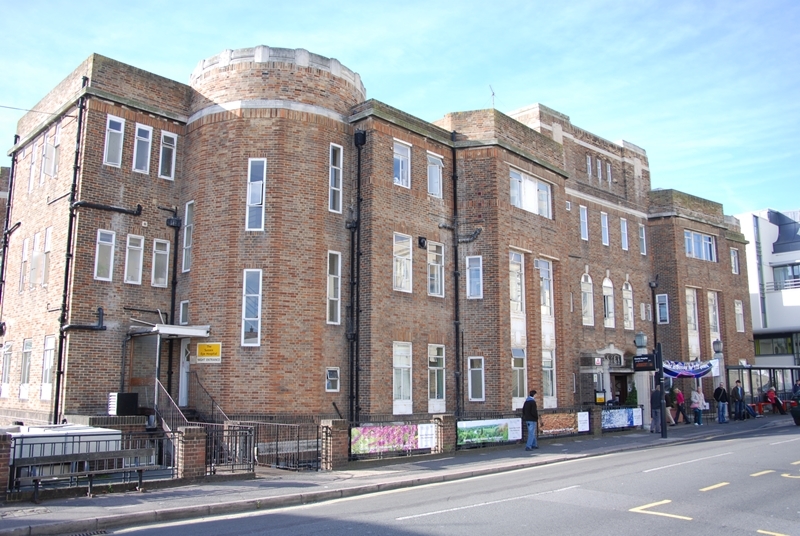 At the corner of Eastern Road and Bristol Gate is the Charles Hunnisett Department of Computerised Tomology, which was opened by Earl Mountbatten on 21 July 1976 and houses one of the world’s first EMI body-scanners. It stands on the site of the former Blind School, but the former Female Orphan Asylum, now the Latilla Building, still stands adjacently to the west. 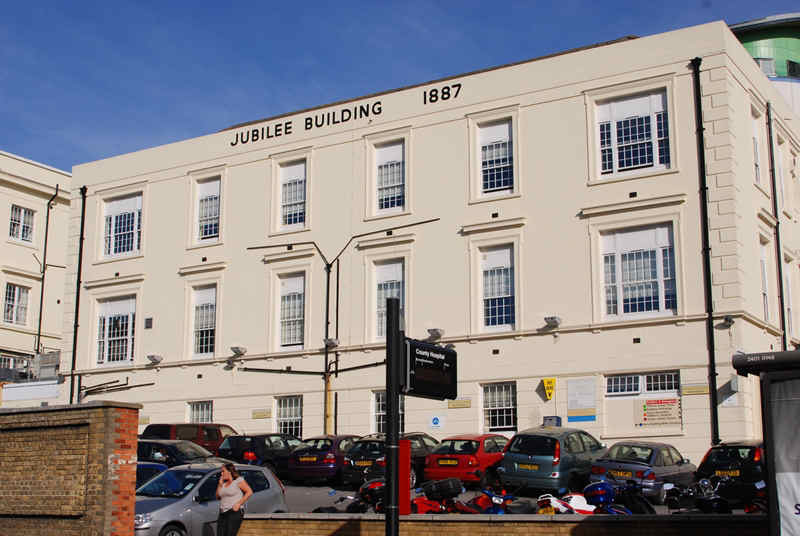 The out-patient department was erected opposite the main block on the southern side of Eastern Road , a low, ugly building, the foundation stone of which was laid on 29 February 1896 by the Prince of Wales. 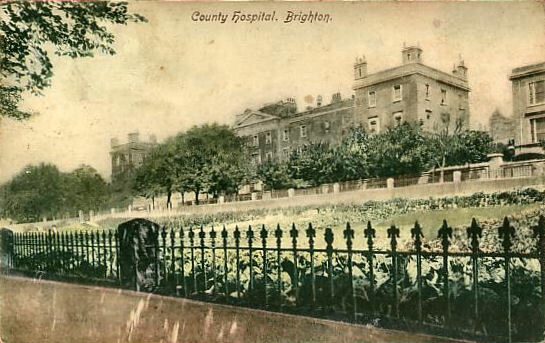 c) SUSSEXEYEHOSPITAL: This separate hospital was founded in August 1832 at 2 Boyce’s Street as the Sussex and Brighton Infirmary for Diseases of the Eye; patients were admitted upon a subscriber’s recommendation or in an emergency. 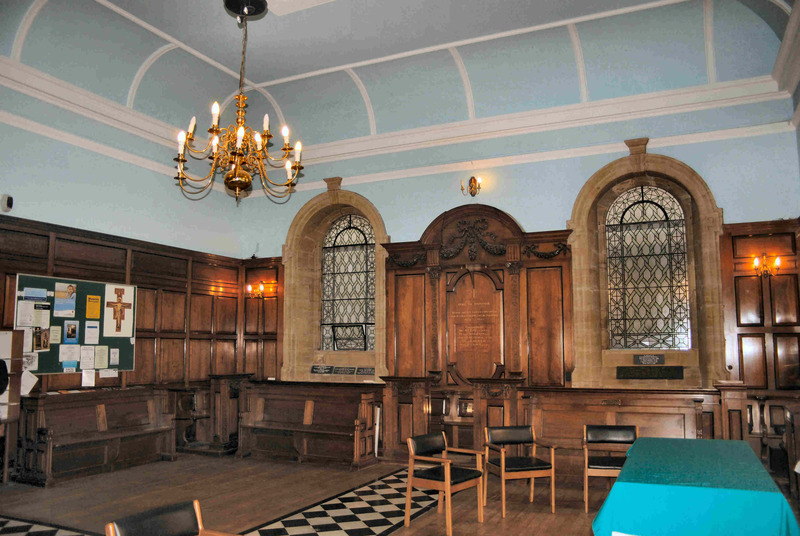 On 10 November 1846 a new classical building designed by Thomas Cooper was opened at 104 Queen’s Road; it had a Corinthian portico and twenty-four beds. 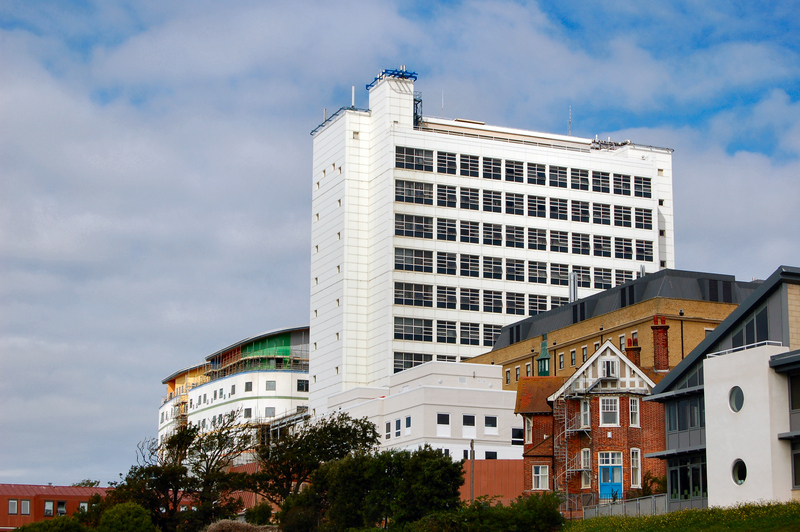 The present 31-bed, four-storey building in Eastern Road, designed by Denman and Son, opened on 2 July 1935. The Queen’s Road building then became the premises of the Royal National Institute for the Blind and the Moon Society’s publishing works, but was demolished in about 1961 and replaced by Equity and Law House. 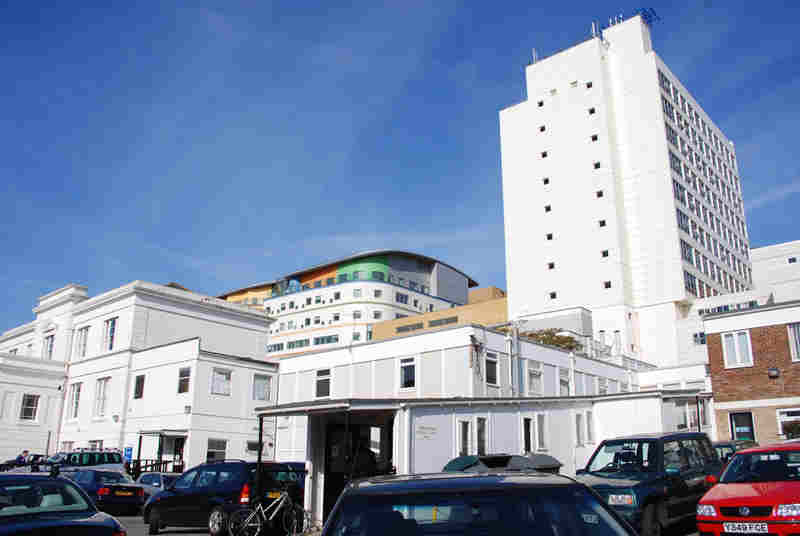 In my earlier comment above forgot to say that there is a Brighton General SRN’s Association, for anyone who trained at the BGH when it was a separate training school. The site mentioned earlier contains my e-mail address for anyone interested in the association, there is no joining fee or any costs involved in joining, as mentioned it is for SRN’s and we have reunions every 2 years. Great photo. 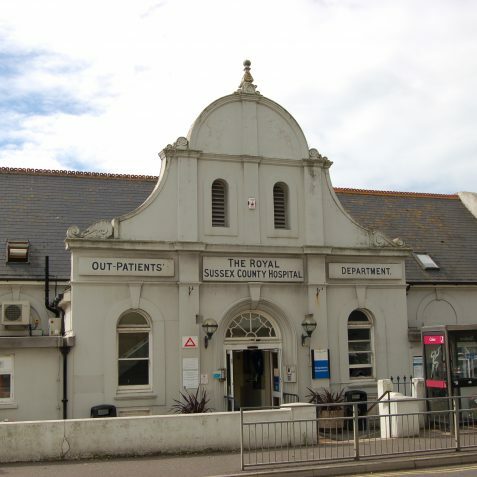 It shows Rosaz House where I grew up and the Royal Sussex County Hospital where my two boys were born. The Royal patronage was not reflected in a change of name until 1911. 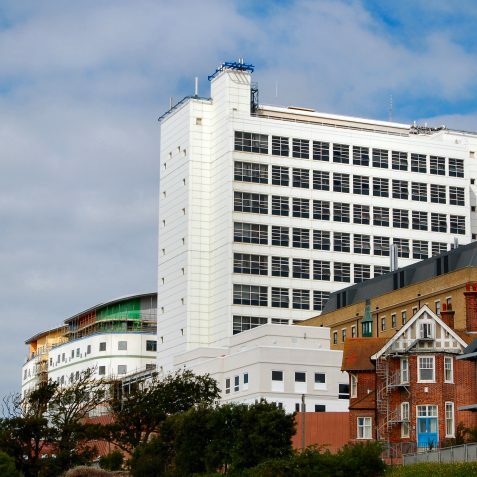 This date appears in the hospital’s official website and in others, and has been confirmed by the hospital’s historian, Harry Gaston. 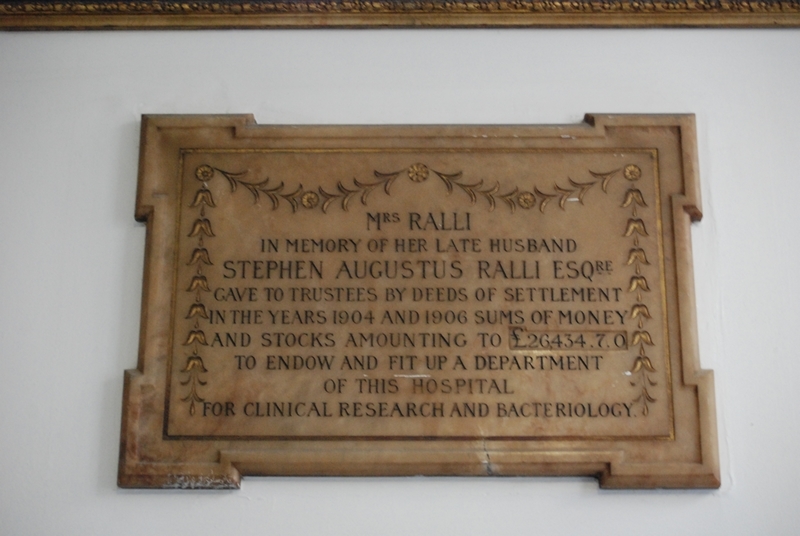 I do hope that somebody will acquire a picture, for this site, of the dedication board on the Board Room wall – if it is still there. 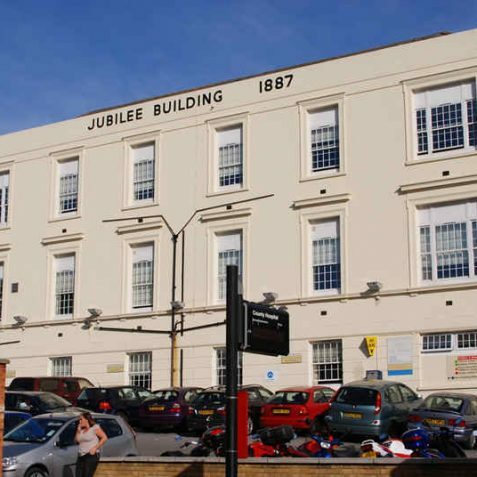 This building (which was originally the Female Orphan Asylum) in Eastern Road opposite the top of Upper Sudeley Street was demolished in 2017, as part of the major redevelopment of the hospital.